On 11th February, the 3rd Committee of the United Nations General Assembly adopted a resolution on “strengthening and enhancing the effective functioning of the human rights treaty body system”. Although the matter still needs to be considered by those who control the purse strings in the General Assembly’s 5th Committee, the resolution’s adoption can be said to mark a defining moment in a treaty body reform process that began in 2009. Remarkably, it does so with some success, paving the way for the delivery of enhanced resources to this long-neglected part of the UN human rights system and re-affirming the independence of treaty bodies and their membership. The path that led to the adoption of the resolution was also noteworthy, in that it was highly inclusive, with different stakeholders included to an unprecedented degree. To appreciate the significance of the resolution and the process leading to it, some historical context is necessary. The absence of effective, comprehensive follow-up mechanisms for recommendations at the national level. If she was writing more recently, Arbour might well have added further points to her list including the impact of the coming into force of two more treaties, the challenges of managing the relationship between the treaty body system and the Human Rights Council’s Universal Periodic Review, and the diminution of available resources at a time of economic crisis. Louise Arbour proposed a bold solution. She suggested that the treaty body system as we know it be done away with entirely and that it be replaced by a single, integrated standing body. As has been described and analysed elsewhere, these radical proposals were not accepted, in-part due to the dissatisfaction with the process (her solution was presented without proper consultation with States, civil society and the treaty body members themselves). It was unfortunate that the comprehensive rejection of the idea of the single treaty body also brought a close to a more general reflection on how to improve the system. Arbour’s report had contained many sensible ideas (such as proposed improvements in the method of electing treaty body members) but they were all considered irrelevant once the concept paper was rejected. Crucially, and as she herself said, her prescription may have been rejected but nobody had challenged her diagnosis of a system in crisis. 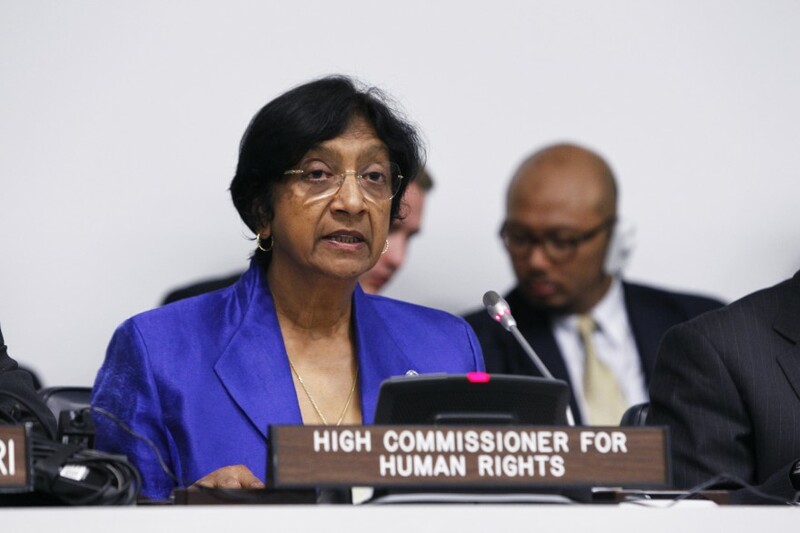 Some two years later, the newly appointed High Commissioner, Navi Pillay, made clear that the situation was going from bad to worse and that it was time to look again at the question of reform. Her first target was the cumbersome and inefficient practice whereby committee chairs, meeting in the inter-committee framework, were unable to adopt decisions and could only propose recommendations that would then need to be considered by each treaty body. This arrangement, while entirely understandable in terms of the respecting the autonomy of each body, did not lend itself to the speedy adoption of harmonised working methods. Pillay’s proposal was that the treaty bodies give their respective chairs the power to adopt decisions on their behalf on matters that had already been considered by the treaty body itself. This suggestion was eventually picked up in 2010 in a meeting of experts at Poznan, Poland. What would become known as the “Poznan Formula” was approved by the annual meeting of chairs and by treaty bodies in 2011. The strength of the formula was demonstrated in 2012 when it provided the basis for the recommendation that treaty bodies adopt a draft set of guidelines for the independence and impartiality of members endorsed by that year’s meeting of chairs (the Addis Ababa Guidelines). The harmonisation of working methods was, though, only one of a number of issues in need of attention. The High Commissioner appreciated this and, in October 2009, reported to the General Assembly on the need to address the challenges faced by the system in a comprehensive and systematic way. Crucially, and in an evident bid to distance herself from the diplomatic problems experienced by her predecessor, she invited comments from all the stakeholder groups in what was to become a prolonged series of meetings. In response to the High Commissioner’s invitation, and with the support of the Irish government, I convened a meeting of treaty body experts and other specialists in Dublin, Ireland, in November of that year, for the purpose of charting a road map for such a consultative process. Our conclusions, contained in the “Dublin Statement,” focused on procedural rather than specific reform outcomes and indicated the goal of a treaty body strengthening process (enhanced protection of human rights), the actors that would need to be consulted and the treaty body functions that must be protected. 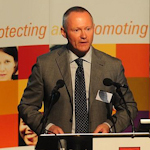 Following on from the Dublin Statement, between 2009-2011, OHCHR invested considerable resources and personnel to supporting a series of consultation events across the world that engaged States, civil society, treaty body members, national human rights institutions, UN agencies and academics (the Poznan meeting was one of these). The events culminated in a second Dublin meeting that I convened in November 2011 (again supported by the Irish Government). There, the treaty body chairs and other treaty body members drew together all the findings of what had by then become known as the “Dublin Process” in the form of the “Dublin II Outcome Document.” The document comprised some 100 recommendations, directed to all stakeholders: States, treaty bodies, civil society and national human rights institutions, OHCHR and other parts of the UN system. The recommendations addressed all of the concerns that had been raised by successive High Commissioners, albeit on the basis of the existing system and without the need for treaty reform. Some of the proposals (such as for improved methods for electing treaty body members) were cost-neutral while others (such as for operating in dual chambers and strengthening the secretariat) were resource-intensive. If implemented, the recommendations would greatly strengthen the system. After the conclusion of the Dublin Process, the High Commissioner published her report, “Strengthening the United Nations Human Rights Treaty Body System” in June 2012. It comprised an analysis of the situation and proposed a series of recommendations dealing with all treaty body functions as well as with the issue of membership. The recipients of the recommendations were States, treaty bodies, NGOs, national human rights institutions, OHCHR itself and UN agencies. All recommendations were costed. There was little that was new in the recommendations, as all of them had been anticipated to a greater or lesser extent in the Dublin Outcome Document. What was novel was the heavy emphasis placed on just one recommendation – for a “comprehensive reporting calendar”. This proposal was designed to align the reporting schedules of all treaty bodies so that States would report to not more than two committees per year and reviews would proceed as scheduled even where the relevant State had not submitted its report. If implemented, this recommendation would have delivered significant improvements in the transparency, predictability and efficiency of the reporting procedures. That said, the recommendation left many questions unanswered regarding the willingness and capacity of States, the treaty bodies and the secretariat to implement the calendar and ensuring that such a move would not reduce the level of expert scrutiny. The report also contained a recommendation to establish a working group on communications that looked similar to the communications body that expert studies had first called for some 20 years earlier. Before publication of the High Commissioner’s report a group of States, known as the cross-regional group (CRG), successfully sought to locate the treaty body reform debate within the General Assembly. The move was apparently intended to strengthen the role of States. On the insistence of the CRG, over the next two years every one of the High Commissioner’s recommendations, as well as a number of others introduced by the CRG, was debated in a General Assembly consultation process. The General Assembly process permitted an intensive consideration of the various proposals. Most significantly, the High Commissioner’s office failed to convince States (and some others) of the merits of the comprehensive reporting calendar. The consultations also had their risky moments, especially for the operation and independence of the treaty bodies. For instance, at one point, the CRG sought to impose a “code of conduct” on the treaty bodies to be overseen by a body that would include State representation. The CRG also sought a moratorium on any changes to treaty body practice pending conclusion of the discussions. Sensibly, and in the absence of any relevant authority on the part of States, the High Commissioner and other stakeholders seemingly ignored that demand. The very fact that the issue of treaty body reform was discussed in the General Assembly was of value. It offered a voice to actors not normally consulted in General Assembly deliberations, such as treaty body members and representatives of national human rights institutions – thus establishing a precedent which, when next applied, will hopefully better embrace the voice of civil society. Furthermore, the discussions were testimony to the manner in which treaty body reform had moved to the centre stage and there can be no doubt that it served to raise levels of understanding of the system on the part of diplomats at UN Headquarters. While such high visibility brought risks, it also shed light on what had, until then, been a relatively neglected and misunderstood component of the international human rights framework. These consultations came to a close with the February 11 resolution. This is a wide ranging instrument with 41 operative paragraphs. The resolution’s main focus is treaty body efficiency and improvements in working methods that were identified in the Dublin Outcome Document and the subsequent report of the High Commissioner. One of these proposed efficiencies is a cause of concern – the stipulation that treaty body outputs may not exceed 10,700 words in length. Dublin II experts had rejected such a requirement, as it was perceived to be at odds with the independence of the treaty bodies. The resolution also addresses the issues of resources and capacity. It envisages up to 20 weeks in additional meeting time for the treaty bodies and provides for a biennial needs-based review and adjustment of meeting time to correspond with the actual rates of reporting. Importantly, in terms of UN secretariat buy-in, the Secretary-General is requested to ensure that his/her future biennial programme budget submissions take into account the requirements of the treaty bodies. With regard to national-level capacity, the resolution calls for the provision of relevant advisory services and technical assistance through OHCHR. The more problematic CRG initiatives are not reflected in the resolution and the independence of the treaty bodies is affirmed, as is their ability to self-regulate by means, inter-alia, of the Addis Ababa Guidelines. The resolution also contains a strong statement condemning acts of intimidation and reprisals towards those who contribute to the work of the human rights treaty bodies, and urges States to take appropriate actions to prevent and eliminate such violations of human rights. Finally, it is stipulated that there be a review of the effectiveness of the various measures no later than 2020. There can be no doubt that the General Assembly resolution represents an important step forward in the strengthening of the treaty body system. It provides political support for what the High Commissioner is seeking to achieve and paves the way for enhanced resources. But it is only one step on the road to reform. Attention should now shift back to the implementation of the Dublin Outcome Document and the High Commissioner’s report (informed by the General Assembly process). Encouragingly, in this regard, some 40 of the 100 Dublin Process recommendations have already either been implemented or are under active consideration. For instance, the harmonisation of working methods is proceeding well and committees such as the Human Rights Committee have strengthened their arrangements for engagement with national human rights institutions and for the webcasting of proceedings. Increasingly coordinated action is also underway to respond to allegations of reprisals against civil society representatives who engage with the treaty body system. Developments such as these, considered with the General Assembly resolution, remind us of the extent to which current efforts to strengthen the treaty body system can already be considered something of a success, even if still a work in progress. Looking to the longer term, we should not forget that the current round of reform initiatives is modest by design. As a diplomat at the General Assembly put it to me recently: “at most this is a sticking plaster – albeit a very big one”. In other words, bigger questions related to fundamental deficiencies of the system remain unaddressed. In the short term this is an acceptable strategy. However, over time, it is likely that serious problems will re-emerge as will demands for further reform. Within this longer-term perspective, it will be necessary to re-visit fundamental matters related to the structure of the system, notwithstanding understandable distaste for the negotiation of new oversight protocols to the treaties. Ultimately, it will be of value to return to the original Arbour ideas, so that all of the strengths and weaknesses of her suggested approach can be considered. Any such step will need to avoid the pitfalls of the earlier iteration of the proposal, above all by ensuring that there is a considered, wide and respectful process of consultation with States, civil society and other stakeholders. Whatever future we envision, it is imperative that we are guided by just one goal: the enhanced promotion and protection of human rights. To that end, we must all work together to ensure that the treaty bodies best play their critical role in the human rights machinery of the United Nations.